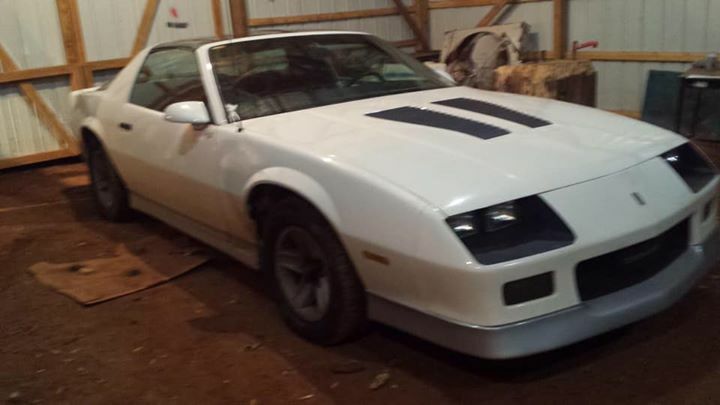 3rd generation white 1985 Chevrolet Camaro Z28 For Sale. Rebuilt ’72 350 with around 10,000 miles and 700r4 trans. Body is in good shape there are 2 dents. Some new interior seats, carpet no headliner. T top does leak a little. It is a project car will start run and drive but transmission isn’t shifting correctly.